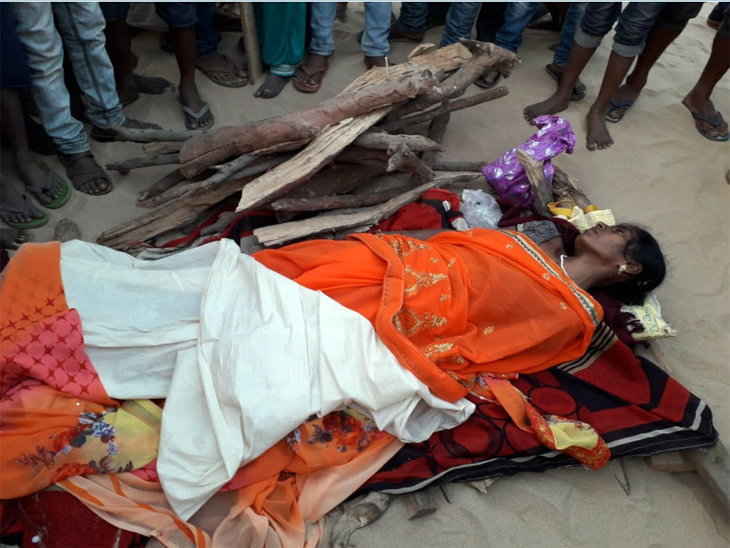 PATNA: Cops saved a woman from being killed in the Indian state of Bihar while her in-laws were about to light the funeral pyre upon which she was placed for cremating her alive. Her in-laws were angry because she had not given birth to any baby even over a decade after marriage. The horrible incident took place at Balu Ghat locality under Sandesh police station in Bhojpur district on Monday evening. Reports quoting local media said the 35-year-old woman was badly assaulted by her in-laws who later banged her head against the wall after which she fainted and fell down on the ground. Subsequently, she was carried to the cremation site where she was placed on the funeral pyre. The funeral pyre was about to be set afire when someone called up the local police after hearing groaning sound coming from within. Soon the police reached the spot and the saved the woman from being burnt. Later she was rushed to a local hospital where condition is stated to be out of danger but she is yet to regain her senses. The police are conducting raids to nab the accused persons. All of them are absconding, police said.